Instrotech offers the latest in Optris infrared innovation, the Xi series, a fusion between a robust, compact pyrometer and an advanced IR camera. The integrated spot finder function enables accurate temperature measurements in moving objects without having to readjust the sensor. Sensor adjustment takes place autonomously, that is, without having to establish a connection with a PC. In addition to a direct 0/4-20 mA analog output, the devices also offer users digital interfaces such as Ethernet or RS485. An external processing interface permits the further processing of up to nine (9) freely definable analog outputs, making it ideal for OEM applications. “With the Xi series, Optris is launching a semi-autonomous sensor which, in addition to traditional PC and software-based operation, also works as a smart pyrometer with analog or digital outputs that seeks the target on its own. This opens up new fields of application, for example, in mechanical engineering or multisensor applications,” explains Torsten Czech, Head of Product Management at Optris. Both the Xi 80 and Xi 400 models are equipped with a motorized focus enabling remote focusing via the free PIX Connect software. The sensors offer a resolution of up to 382 x 288 pixels, a frame rate of up to 80 Hz and a measuring spot to distance ratio of up to 390:1. 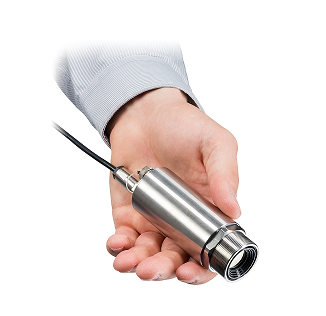 Xi devices are calibrated for temperature measurements within a range from -20 to 900 °C. Together with the new Xi cameras, Optris provides new PIX Connect imaging software, with the complete feature set of the former PI Connect plus some new features necessary for the Xi setup. PIX Connect will be the new software platform for all Optris imaging products – for PI and X. The Xi devices are shipped as a ready-to-use package including a mounting nut, a mounting bracket, software CD, quick start guide, USB cable and process interface cable. The product CD features Operators Manuals for the Xi camera hardware as well as new PIX Connect software.